Here at North Eugene Family Dental, your Eugene kids dentist of choice, Doctor Kirchmeier, educates his patients about the best and worst foods for your teeth. 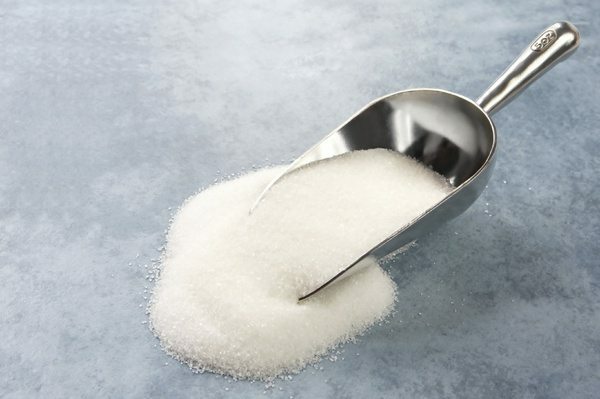 We have many patients who ask us about sugar, and possible ways to reduce it from the diet. As you may know, the effects of sugar can be deadly for your health. On average, Americans eat 500 extra calories a day of sugar. Most people don’t think about sugar and the effect it can have on our health, but diagnosing a sugar addict is easier than you think. • Are you using more sweet foods than ever before? • Have you ever tried to cut down or control your use of sweet foods? • Is it impossible to “just say no” to sweet foods? • Have you ever gone out of your way to get something sweet? If you said yes to any of these questions you may have a sugar addiction. After you recognize that you have an addiction, you can take positive steps to recover. The sugar itself is not as bad for your teeth but the amount of time it hangs out on your teeth is what will cause tooth decay and other health problems. Doctor Kirchmeier strives to educate his patients on the harmful effects because it is important for your health and wellbeing. The American heart association recommends that women consume no more than 200 calories a day from added sugar and men 150 calories per day. That translates to about six teaspoons for women and a rounded out nine for men. Sadly the average America is consuming 500-700 added calories a day in sugar. These steps will help you cut back on eating sugar and eliminate the habit. Always Read Food Labels – Always read food labels. The labels of your food will help you sort out the good sugars from bad sugar. Good sugars are natural sugars found in fruit and some juices. Bad sugars are refined white sugar that is added to packaged foods, such as doughnuts, granola bars and commercial fruit juices. Brush Your Teeth More – We tell our patients to brush after every meal. They sometimes look at us funny, but this is a great way to avoid sugar stains and bacteria build up. It can remove plaque and food particles and help keep your teeth white and clean. Eliminating and quitting sugar can take awhile. Remember that if you are addicted, when you eliminate sugar from your diet you could have side effects like, headaches, sometimes and nausea or even upset stomach. Drink more water to help ease the uncomfortable pain. When you reduce sugar in your diet you usually feel better. Patients report to us that when they do eliminate it from their diet, they have a cleaner feeling mouth and they often smile more. Some even lose weight. If you want more advice on how to keep your teeth clean and learn more healthy habits visit us and make an appointment today. 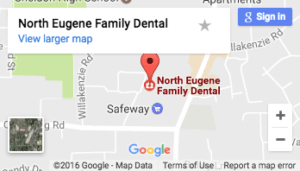 ← Welcome to North Eugene Family Dental!